ZTE does not also want to miss the great festival of Mobile World Congress, and presented an interesting novelty in the form of tablet. 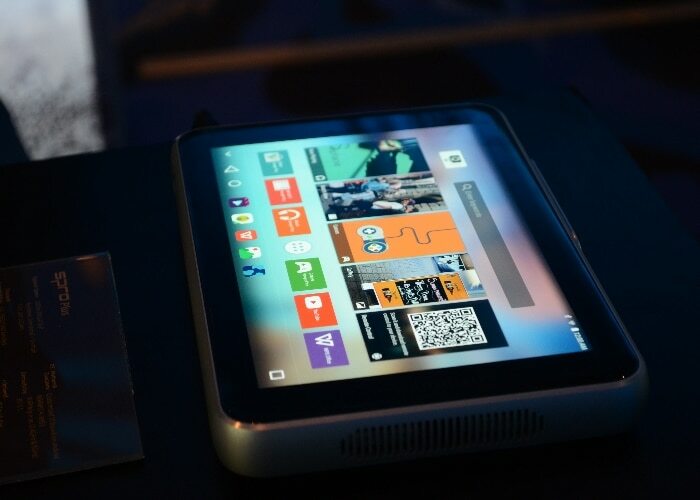 But not any tablet as it incorporates a projector that will bring multimedia experience to another level. We talking about the ZTE Spro Plus. The projector some more than interesting specifications meet, and although we are not facing a tablet top end, yes, you can place it a notch below in the medium / high range . The ZTE Spro Plus has a screen that reaches 8.4 inches, so it’s not a tablet large format, which of course is not something to play against because they can see the projected image. It is a panel with AMOLED and a resolution of 2540 x 1600 pixels . As for the hardware inside the computer mounts the SoC Qualcomm Snapdragon 801, which some time ago was the top model of the company, and is supported by 3 GB of RAM. As for internal storage in ZTE they have been very generous, offering 128 GB, making it clear, in case there was not clear and, fully multimedia focus of this tablet with projector. In addition, they may include microSD cards up to TB. Of course, also a version with 32 GB of memory will be marketed. For the rest, we have a wide 12,100 milliamp battery and Android 6.0 operating system Marshmallow. There will come a model only Wi-Fi, and a Wi-Fi + LTE. The ZTE Spro Plus also includes two speakers with Dolby technology and 4 watts of power each and can be accompanied by accessories such as an infrared pen or gamepad. At the moment, price and availability are unknown. Previous Post:Xperia PP10, is this the next midrange premium of Sony?